Home / Attorneys / William W. DesChamps, Jr.
William “Bill” W. DesChamps, Jr., is our managing attorney and the founder of DesChamps Law Firm. For more than forty years, Mr. DesChamps has represented clients in transactional, real estate, business, commercial, construction, and complex civil litigation matters. 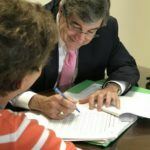 His legal knowledge and experience as a practicing attorney in the State of South Carolina dates back to 1976 when he started practicing in the Myrtle Beach and surrounding Grand Strand area. Mr. DesChamps is recognized as counsel and/or advisor for local attorneys, judges, lenders, business leaders, banks, contractors, hoteliers, franchisors, franchisees, and commercial real estate investors and participants. He routinely represents clients in complex civil litigation proceedings, closings, and other commercial transactions; serves as advisory and review counsel for banks and business owners; and provides general business advisory services to clients. 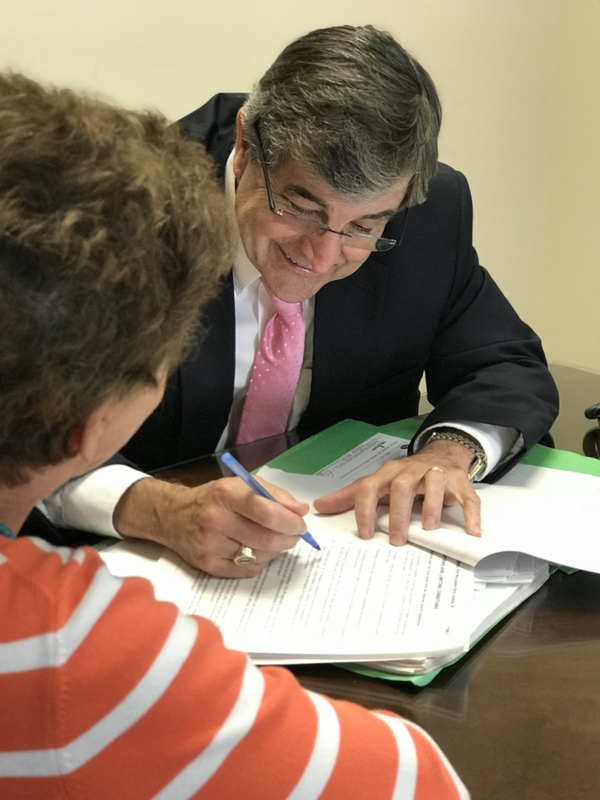 As a Certified Mediator in both South Carolina state and federal courts, Mr. DesChamps has mediated numerous civil disputes, and is often selected to mediate civil litigation proceedings in our area. Bill has achieved a Martindale Hubbell AV Preeminent Peer Review Rating and was selected as a Top Rated Lawyer in Construction Law and Litigation by “Corporate Counsel” and “the American Lawyer.” He established “wrap-around” mortgage case law in South Carolina in a 1994 published opinion of the South Carolina Court of Appeals. In addition to practicing law, Bill has substantial ownership interests in motels, office buildings, and commercial real estate. Bill enjoys spending time with his wife Peggy and their family. Peggy was the office administrator and senior paralegal for DesChamps Law Firm for more than thirty years until her retirement. Peggy and Bill focus much of their energy on church and cancer elimination matters and issues. Martindale-Hubbell AV Peer Review Rating Preeminent which is a significant rating accomplishment – a testament to the fact that Mr. DesChamps’ peers rank him at the highest level of professional excellence. Past President, Mt. Gilead HOA, Inc.
CresCom Bank; Harrington Construction Company, Inc.; Anderson Brothers Bank; Surfside Realty Co., Inc.; L & R Sitework, Inc.; Sea Dip, Inc.; Mt Gilead Special Tax District; Arcadian Special Tax District; Hidden Woods Special Tax District; The Original Benjamin’s Calabash Seafood; Drunken Jacks; Kamla, Inc.; Southwest Motels Partnership; C & P Partnership; McDillon Holdings, LLC; Midlands-I-77-Holdings, LLC; American Safety Insurance Company; BNC Bank; NBSC – Synovus; Conway National Bank; South Atlantic Bank; Old Republic Title Insurance Company; Fidelity National Title Insurance Company; S & W Construction Company; AASAP Construction Company.